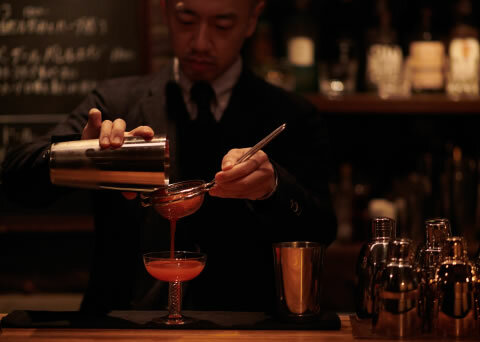 Cocktail Works Tokyo | Orchard Knight Inc. 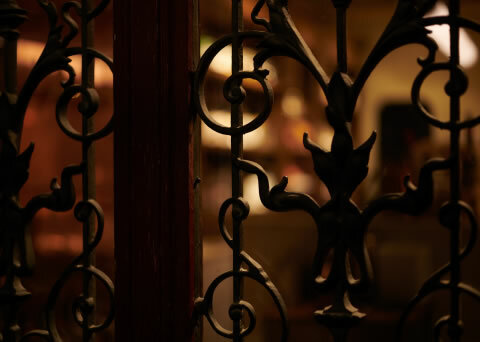 Cocktail workshop concept is a fine space where iron, copper, leather and wood are fused with European antique furniture as accent. 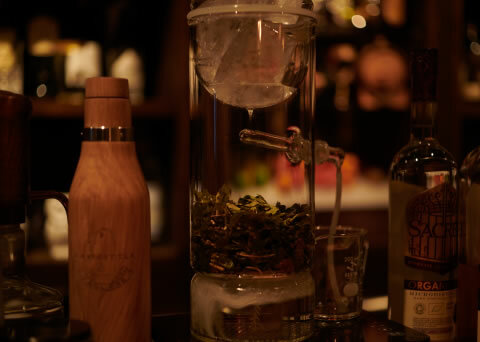 Mixology cocktail & seasonal cocktail using original roots & herbs and original cocktails. 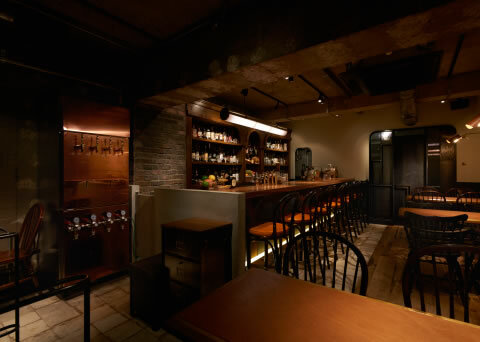 About 30 species of craft vermouth using herbs and spices based on wine as well as craft jin and malt whiskey are arranged in the back bar. You can also enjoy handmade dishes based on Italian.